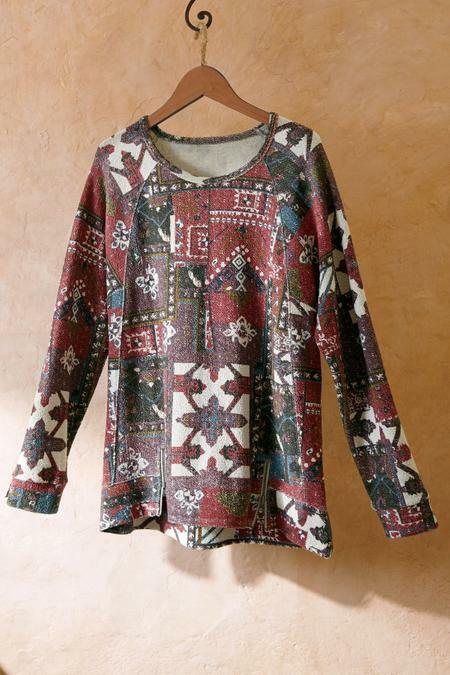 This jacquard knit pullover, in a patchwork-inspired print, has antiqued silver zippers accenting the high-low hem giving it a new-vintage look. With princess seams for slight shaping. Cotton/poly. Misses 25-1/2"/27" long.